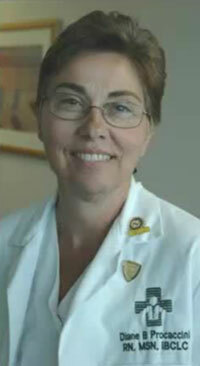 Diane has been an IBCLC since 1996 working primarily at Capitol Health Hospital in Hopewell, NJ where she guided her hospital to Baby-Friendly Hospital status. She graduated from the University of Pittsburgh and has degrees in Psychology and Nursing. She has contributed to the Breastfeeding Atlas and has published in the Journal of Human Lactation and the Journal of the Academy of Breastfeeding Medicine.